One of the biggest topics of discussion today is how media has been covering minorities like Muslims and African Americans in a disproportionate and negative light, while white people are shown more positively even when they commit some of the most heinous crimes in history. This does not dispel the fact that minorities do crimes as well, but the point is that white suspects and perpetrators have often been scrutinized less and have been made more personable when presented to the public after a crime has been committed compared to minorities who have or have not done said criminal acts. Some minorities who happen to be victims of crimes have been portrayed worse than some white criminals. In 2014, The Huffington Post wrote an article titled,"When The Media Treats White Suspects And Killers Better Than Black Victims," which talked about and displayed headlines that were written for white criminals versus headlines that were used for black victims as examples of this disproportionate media coverage. To this day, in 2017, the media is biased and uneven, and people are speaking up about it. 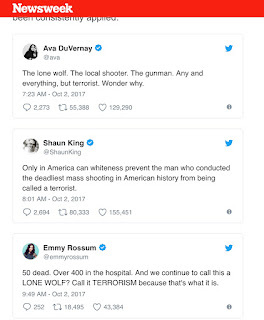 The Las Vegas shooting in October raised many questions on what makes a person count as a terrorist after headlines called the shooter, Stephen Paddock, a "lone wolf." Many people took to social media to express how they felt Paddock should be called a terrorist. 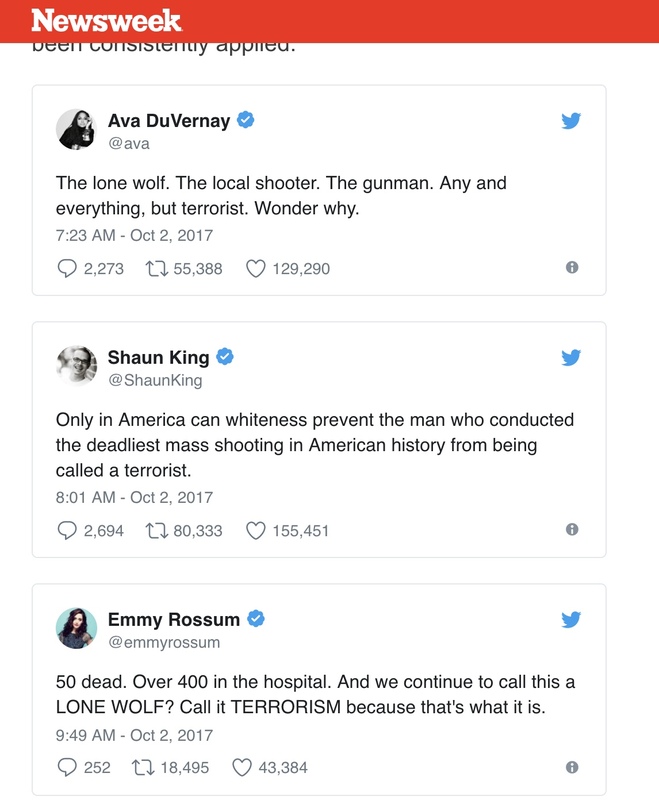 People are also outraged because of how quick some Americans and media sources are to call people, –– like Muslims –– terrorists, but hesitate to call white suspects and killers or "non-muslims" that when they are statistically the ones who carry out most terror attacks in the U.S. This issue about the disproportionate portrayal of minorities is not only in the United States of America. Media Smarts, Canada's Centre for Digital and Media Literacy, wrote an article called, "Visible Minorities in News Media," that discussed how Canadian news media depicts "visible minorities" as threats, villains, troublemakers, and other names of the like. This article speaks a bit on various minority groups such as Hispanics, Muslims, Arabs, African Americans and women, and how the way they are framed purposefully incorporates gender and racial inequalities. Media Smarts also mentioned that "news reports are framed around cultural narratives that reflect a structured storytelling process" and that "Whites are often shown in Canadian news media to be heroic or morally upstanding when compared to a 'villain' from a visible minority..."
Media –– not only in America –– has a lot of work to do to prevent further racial and gender bias, discrimination and inaccuracy in the stories that are being told.